The property planning consultancy team was appointed by Frimley Park Hospital NHS Foundation Trust to negotiate planning permissions and provide development advice for the construction of 86 key worker units and 30 market units. The team of property planning consultants assisted with the pre-application project management and devised a strategy to gain political support, whilst leading the pre-application application phases. There were a number of concerns that needed to be overcome in the planning application in order to gain permission to construct the units. Drawing on the cross-departmental expertise at Vail Williams, the client was also advised in relation to the viability of the scheme. There were several listed buildings on the site where the units were proposed to be built, and concerns had also been raised about resident bats and surrounding trees. The expert team of property planning consultants had to overcome these considerations, and address additional highways and building design concerns. Vail Williams worked with the client to develop a detailed and extensive discussion with Surrey Heath Borough Council and Surrey County Council, to work collaboratively to overcome the concerns. The team also engaged with the local community to limit the number of objections to the proposals. As a result of working closely with the local community, and developing detailed documentation, Vail Williams successfully limited the number of objections and achieved planning permission. 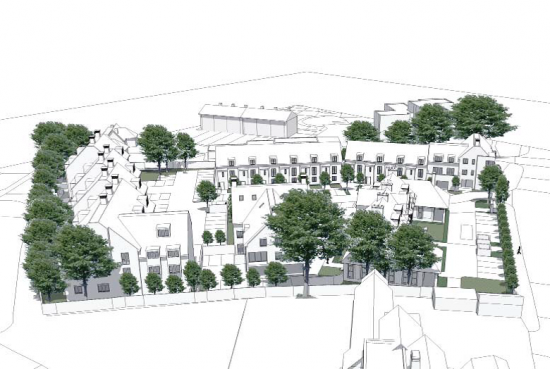 The team also negotiated with Surrey Heath Borough Council to successfully justify nil affordable housing contributions and Planning Infrastructure Contributions for the scheme, which would have amounted to a bill of £230,000 for the client.